Fifteen-year-old Lauren Mullins is facing an extremely rare diagnosis for a young woman: colon cancer. 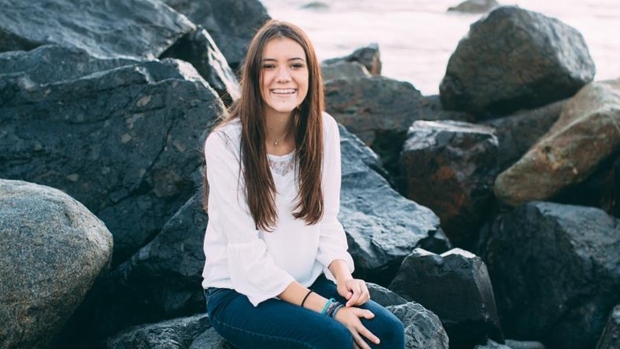 As the San Diego teenager fights the disease, she will, at least, have a beautiful sanctuary in which to recover. 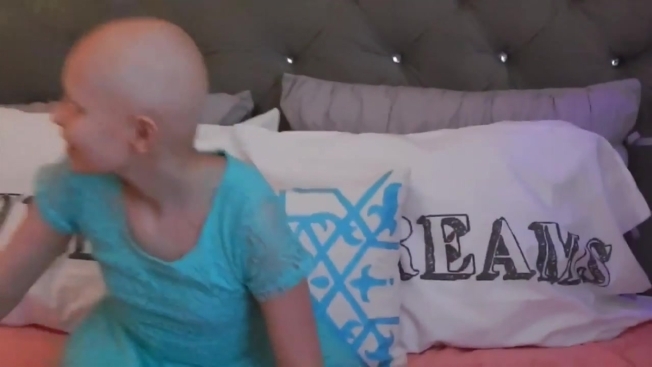 A new organization called "Savvy Giving By Design" is helping children like Lauren in their fight with life-threatening illnesses by giving their bedrooms dramatic makeovers. Founder Susan Wintersteen has already remodeled several rooms in the past year. The room "reveals" usually come with tears of joy — and life-changing results. "By making their surroundings beautiful, as well as functional, we give them the optimal tools for recovery," Wintersteen told NBC 7 San Diego. "We want them to wake up every morning and look around their space, and feel loved and beautiful." She also calls the remodeling process a "design distraction," helping the kids think about something other than their treatment. "Cancer takes away so many things; I am hoping that through this gift, Lauren will have something positive to look forward to," said Lauren's mom, Jen Mullins. Mullins describes Lauren as a typical, fun-loving teenanger who loves horseback riding. Lauren's life took a turn, however, the day her school nurse called her parents and asked them to pick her up because she was complaining of abdominal pain. At first, doctors discovered a kidney problem. But after surgeries to repair it, something was still wrong. Lauren was finally diagnosed with multiple tumors in her colon and tested positive for a rare genetic abnormality called constitutional mismatch repair deficiency syndrome. It puts her at a high risk of developing multiple types of cancer throughout her lifetime. "Susan and her team are providing us with such an over the top gift. When your child is diagnosed with an illness like cancer, you basically go on autopilot," Mullins said. "So when someone offers you something so generous that is not a basic need or basic expense, and you know the impact of that gift will be long lasting for your family, that is such a huge blessing." Savvy Giving By Design is in the process of obtaining non-profit designation. Wintersteen hopes to raise more money and receive donations from companies to remodel more rooms. The organization raises money to complete the makeovers through GoFundMe pages, including the latest set up for Lauren's room. Wintersteen is a mother of five girls and runs a home remodeling business and a retail showroom in North County San Diego with her husband. She got the idea for Savvy Giving By Design in 2015, after a friend introduced her to a 13-year-old girl named Kasey Harvey, who had a rare and aggressive cancer called rhabdomyosarcoma. Wintersteen wanted to help, but said she's a terrible cook and couldn't really contribute to the community effort to make meals for the Harvey family. She used her design skills instead. Savvy Giving By Design worked to improve Kasey's room by painting the walls, wallpapering the ceiling, replacing the floors and lighting and bringing in new furniture. Kasey's mom, Susan Harvey, said her daughter spent the year of her treatment in that new room, recovering from the side effects of chemotherapy. "She was a very sick girl for the entire year and having a beautiful and clean room helped with the many, many hours she spent in there," Harvey told NBC7. Kasey is now in remission. "To see people, strangers, donating their money, time and expertise made you realize you had an army behind you," said Harvey, "The love that was poured onto my child and our whole family during this time was amazing." Wintersteen has also made over a rooms for 11-year-old Madi and 10-year-old Luke. Like a lot of kids, Luke loves Minecraft, pizza and churros. But the young Vista boy has conquered something most have never even heard of: osteosarcoma, a kind of bone cancer. What began as nosebleeds in 2014 turned out to be a tumor pressing on his left eye, skull base and left sinus. He spent an entire Christmas holiday in the hospital, then faced 10 months of chemotherapy. Savvy Giving By Design designed the bedroom in which Luke would recover to fit his love of gaming, complete with a custom built entertainment unit and gaming chairs. "The people at Savvy truly have a heart for creating a space for kids that helps them heal," said his mom, Michelle Sybert. 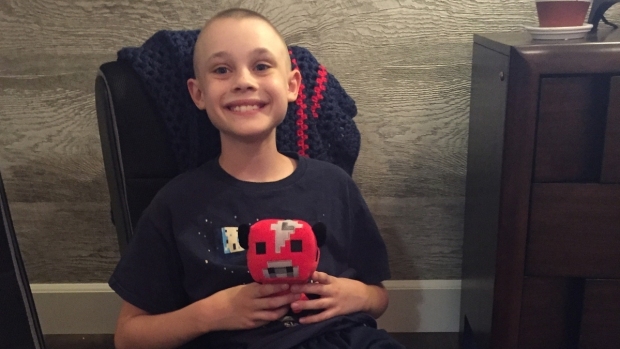 "Luke told me, the day his room was completed, 'Mommy, this is officially the best day ever!'" When it was finished, Luke slept in his own room for the first time in 10 months. "It was an incredible wonderful moment to know that he could sleep in his own bed," Sybert told NBC7. Another big part of the projects includes doing a mini room makeover for siblings of children battling illnesses. "They are 'stuck' between being worried and feeling left out," Wintersteen explained. Luke's older sister, Kya, got a custom room built around her artistic talents. "Oftentimes, siblings get overlooked and shuffled around when their brother or sister is in treatment," said Sybert. "Kya was able to take part in choosing her room colors and sharing what she liked with the team. " Lauren's older brother, Ty, will be part of the upcoming makeover process for his sister. "Hopefully, this will also become a space for him to unwind, as cancer doesn't just effect the patient. Watching his sister go through everything has had a huge impact on him," Mullins said. The plans for remodeling Ty and Lauren's rooms are now well underway, and should be complete in the upcoming months. "It's overwhelming to really think that someone would do this for us," Mullins said. "We've lost ourselves in this last year and I'm hoping you help us find the inspiration to make our house a home again." Contributions can be made through GoFundMe.